A look into the life of the first female Prime Minister in Great Britain. An old Margaret Thatcher who is suffering from dementia, we see her story in flashback form. Before I really get into this review I must remind everyone that I was born in ’87 therefore cannot remember any of Thatcher’s time in Parliament. So this film was quite difficult to follow at times as I did not know the timescale of when events happened. 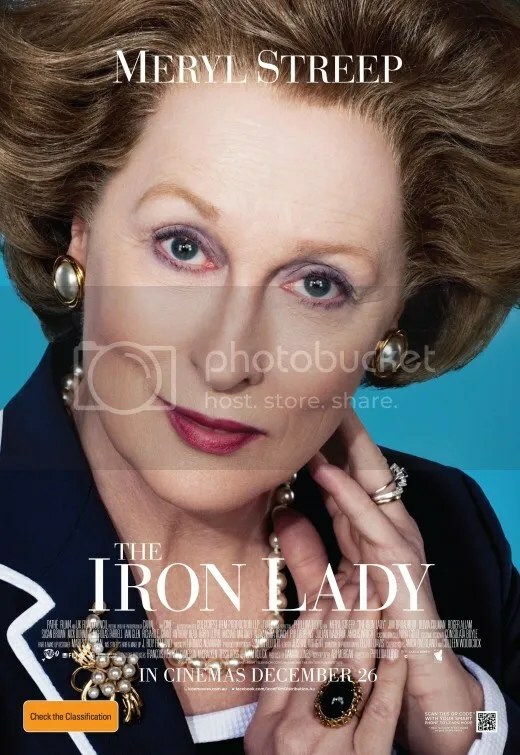 I kept forgetting throughout the film that it was indeed Meryl Streep portraying Thatcher! She was absolutely fantastic in the role covering many ages and years. Showing how the woman who became known as the Iron Lady really changed the face of Britain. I found the film very difficult to watch throughout as showing Thatcher with her dementia and having her dead husband Dennis as her imaginary friend was a strange way to go with it. I have had experience with dementia as my Nanna suffered from it which I think made it even more difficult to watch in this film. I always thought it was amazing that a woman managed to be the leader of the UK when Thatcher did, due to how much politics was dominated by men (and for the most part) still is really. So for a woman to achieve what Thatcher did really inspires me! Which may be controversial with how a lot of people viewed her, especially when I am from the north-east which was badly hit with the miner’s strikes. But I am way too young to remember any of that at all. I wanted to like this film as really like Meryl Streep and her performance was very good but I did not feel that the film flowed in the best possible way and that we could have seen so much more about her rise and fall than we did and in a different way to how they went with this film. I still feel I now know more about the Iron Lady – who’s first nickname was not touched on in the film Thatcher the milk snatcher after she stopped school milk when education secretary. I thought Jim Broadbent was wonderful as Dennis and brought an edge of comedy in a mainly serious film. It definitely is not an easy watch and difficult to follow at times when it skips between the different years.